"As a first time client with Professional Woman Publishing and Linda Ellis-Eastman, as an author, I can attest to not only the integrity of Linda but the professionalism of her team and what her organization stands for as a whole. The consistent communication and commitment to the entire book publishing process and to me, as the client, has made this journey not only gratifying but highly rewarding as an individual. As an author who believes in authenticity and genuiness, I would recommend Professional Women Publishing to anyone who holds these same principles. I would like to express my gratitude to both Linda and her team for making this experience possible in order to share my gift with others." "It has been such a pleasure working with Linda Eastman and the PWN staff. When I was introduced to Linda I could tell from our very first conversation that she was special. Linda and the Professional Woman Network are advocates for women who have dreams of spreading truth in the world. Once I spoke with her there was no doubt in my mind that I had found the right publisher for my first book. "Linda understood the vision for my book and was able to support that vision. Her coaching sessions were invaluable. She was also able to help me clarify my voice and direction in writing and once I had given Linda a deadline of when I wanted to complete my book she held me to it. She continues to be a master coach because of her ability to relate to her clients and because of her vast knowledge of the field. Her staff has been on point as well, no doubt, because of Linda's great leadership skills. Anyone would be blessed to have Linda in their corner. I am so blessed that Linda has walked with me on this important part of my journey." 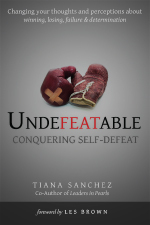 "I want to thank Linda and PWN Publishing for the unwavering support and helping me publish my first solo book Undefeatable: Conquering Self-Defeat. I partnered with Linda when I became a contributing author of Leaders in Pearls and that experience was very rewarding. As a new author and that being my very first experience with Linda Eastman, I was impressed. It also set the standard of what I was to expect for my project. The level of professionalism and personal attention was one of the primary reasons I decided to partner again with Linda and PWN Publishing for Undefeatable. 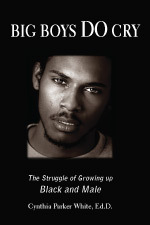 Writing a book is not an easy task in my opinion. I had a concept and Linda helped massage and nurture my ideas. During our monthly one-on-one book coaching sessions, Linda was extremely patient with me and guided me throughout the entire process. She would ask questions that would allow me to think about the book in a different way: the purpose of the book, the ideal reader or audience, the layout, and the message. It was important to me to establish myself as a Subject Matter Expert, author, and to select the write content that would accurately represent me and my brand. Linda was professional, supportive, honest and encouraging. I will always appreciate the consistency and follow up. Whether by phone or email, Linda ensured I thoroughly understood all aspects of the project and worked diligently to meet our deadline which we did. 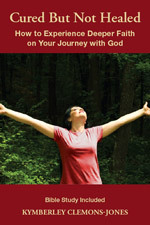 I believe this book will help bless many lives and also believe this book will become a best seller! I sincerely want to thank Linda Eastman and the PWN pub team for their unwavering support, relentless dedication, and overwhelming commitment." Thank you for for having the heart for what you do. I understand that this is your life's work and your livelihood but you do it with passion for the people you serve and for the greater good that we all hopefully reap in our communities with the confidence and skills that we possess. I admire that the most about you and the fact that you truly know how to handle your business! You are the real deal and I think the fact that so many women of color are drawn to PWN is a testimony to the woman behind the organization first and foremost and the organization itself secondly. There are lots of similar organizations but only one Linda Ellis Eastman. Thank you for being an inspiration and a guiding force in my life. I have a heart of love for you! God bless you, strengthen you and keep you in all things."